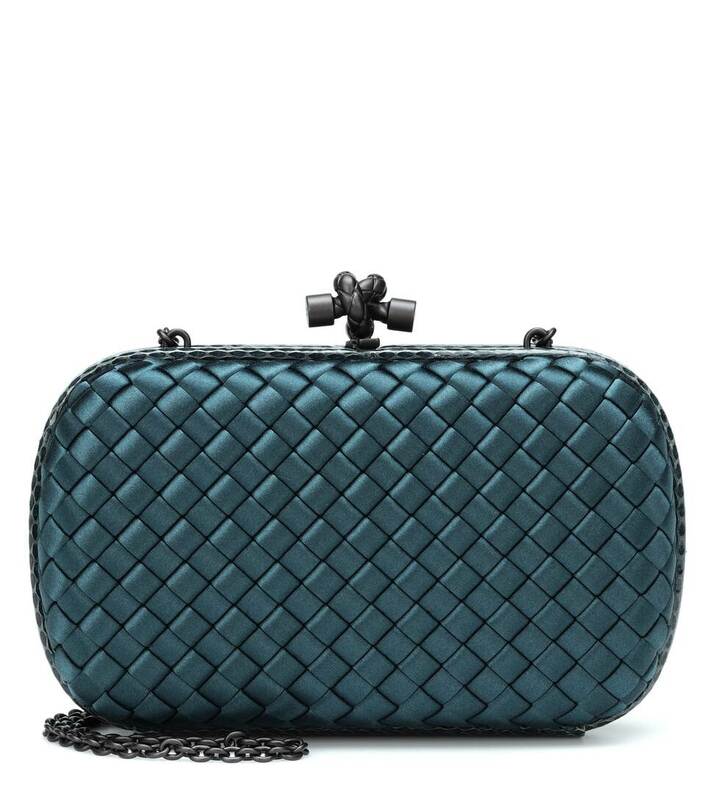 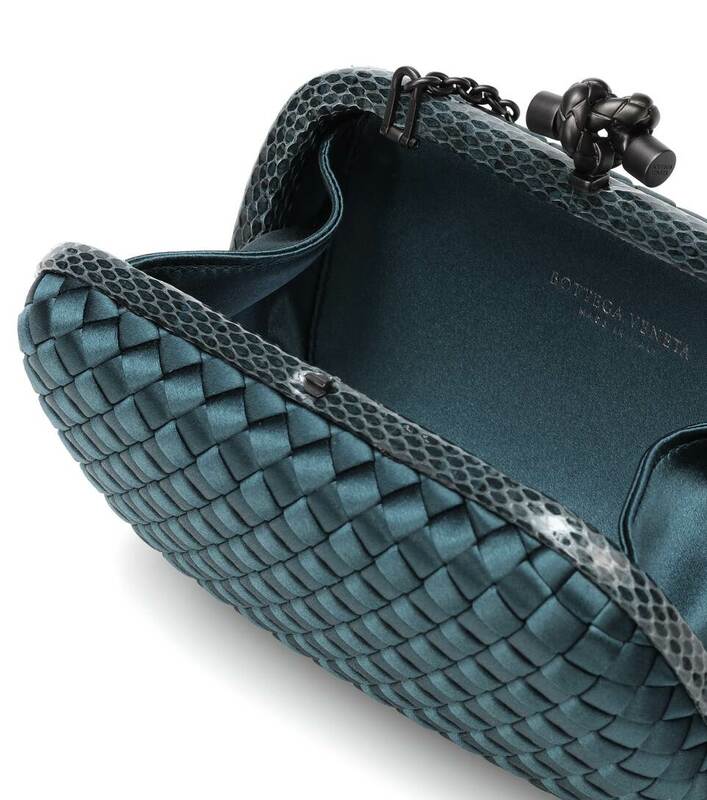 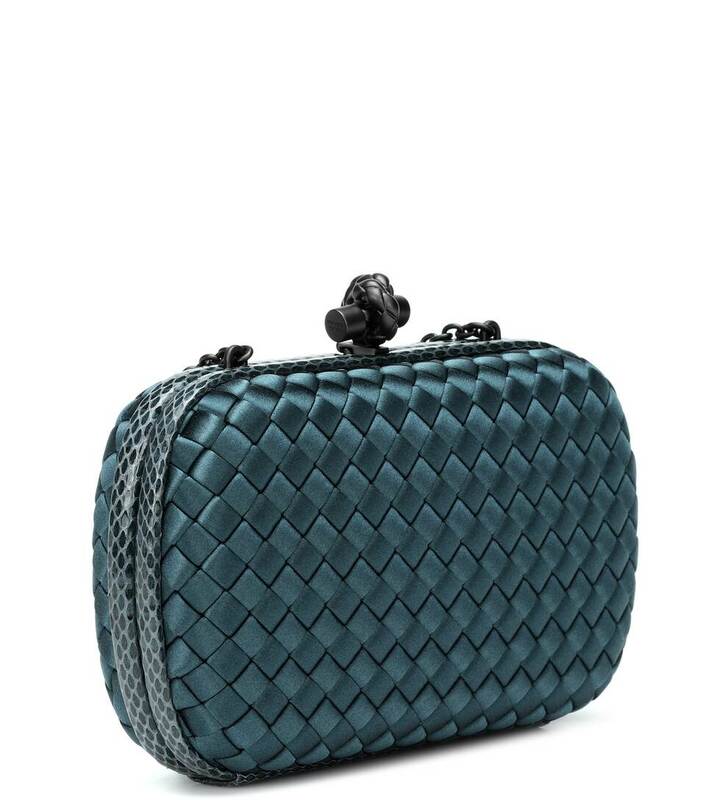 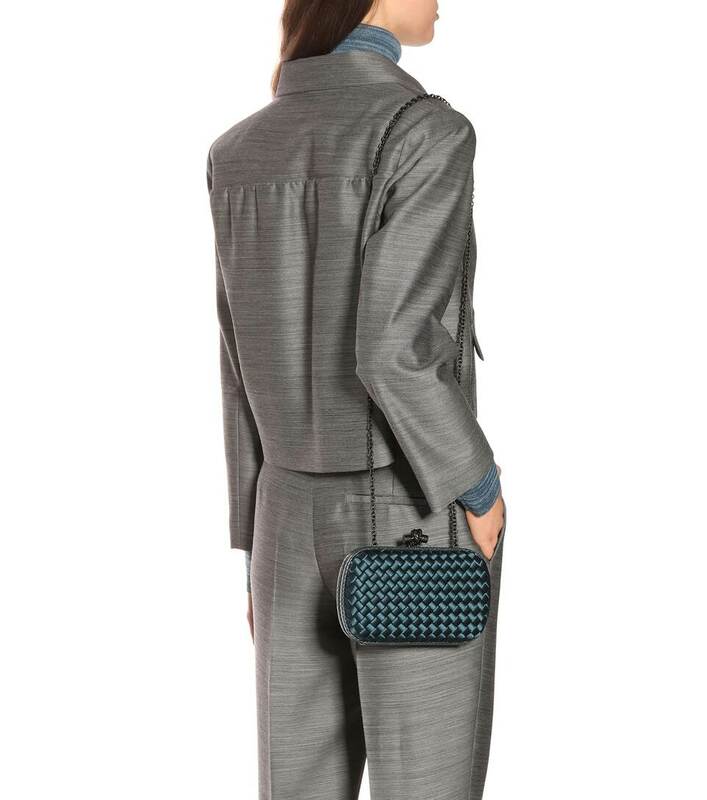 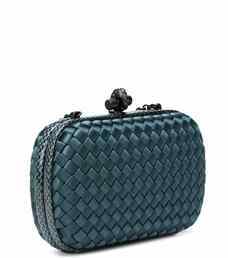 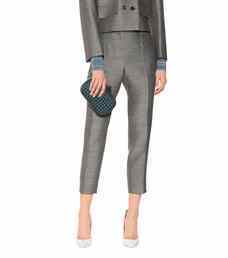 Command attention with Bottega Veneta's iconic Knot clutch in this beguiling blue satin finish. Note the attention to detail – the signature intrecciato weave against a snakeskin trim and knotted top clasp made from charcoal-tone metal. Use the dainty shoulder chain to go hands-free.